Malaysia's healthcare market is expected to jump by 127% to RM127.9bil in 2027 from the RM56.3bil in 2017, in correlation to the government pushing for higher public healthcare expenditure, says Fitch Solutions Macro Research. The company said the 2019 Budget had proposed an increase in public healthcare expenditure, and this would see the government continuing to push forward with fundamental healthcare initiatives which would be positive for the healthcare market. Fitch said the social sector, the second largest development expenditure recipient, will receive RM15.2bil. Access to basic services, predominantly education and healthcare will be expanded further in efforts to bridge the urban-rural development gap. The government allocated RM29bil for the healthcare sub-sector, up 7.8% compared to the 2018 budget, making up almost 10% of the overall budget. Of that amount, RM2.3bil will be allocated to the health sub-sector mainly for building and maintaining hospitals and health clinics, upgrading the existing healthcare facilities and procurement of medical equipment. This is in line with the emphasis to provide quality healthcare and increase accessibility to health services. 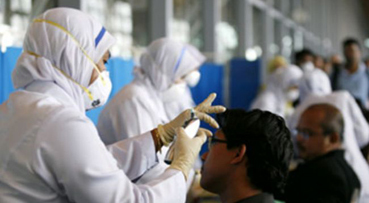 Fitch Research said the Ministry of Health would provide medicines as well as upgrade and improve the quality of health services at clinics and hospitals, including RM100mil for the National Health Protection Scheme with health screening pilot project for 800,000 people belonging to the B40. Fitch Research said the 2019 Budget signals commitment to healthcare sector. In line with the increasing focus on the g rowing non-communicable disease burden, Malaysia is investing heavily in healthcare infrastructure to improve access to healthcare services. The government has assigned RM2.3bil to build new hospitals. The budget allocation for Malaysia's healthcare tourism system aligns with the national economic blueprint, where healthcare travel has been recognised as one of the National Key Economic Areas (NKEA) set to drive the country towards the status of a high-income nation by 2020. Between 2011 and 2015, the healthcare travel industry recorded an average growth rate of 15%. In 2016, the industry grew by 23%, with an estimated contribution of approximately RM4bil to Malaysia's economy. Fitch Research pointed out the larger budget of RM314.6bil for 2019, was made possible with a RM30bil special dividend from Petroliam Nasional Bhd. Including regular dividends of RM24bil, Petronas would be funding 17.2% of expenditures in 2019, highlighting Malaysia’s continued reliance on oil revenues. Excluding the special dividend, total government revenues in 2019 would have contracted by 2.0% to RM231.8bil from 2018’s RM236.5bil, a reflection of the government’s challenges associated with broadening the tax base to make up for the decreased tax intake from reinstating the Sales and Services Tax since September.